When you have a model that’s been providing driving pleasure and off-road fun for over three-quarters of a century, you might not think this vehicle needs to be changed much at all. The formula for the Jeep Wrangler certainly has worked well for the brand over the years and has been one of the most successful off-road brutes we’ve ever seen. Jeep has been upgraded to offer us the pricing we want and an SUV that’s more modern while maintaining the classic Wrangler features that are right for the drive you want to have on the trails and roads around Lauderdale Lakes, FL. For years, the only negative aspect of the Jeep Wrangler was the on-road driving experience which was considered to be harsh. The upgrades offered for the 2018 version of this SUV make it one that can now be enjoyed on a daily basis without the feeling of harshness that’s been the case in the past. Take a look at the pricing offered for this SUV you want to drive in Lauderdale Lakes, FL by visiting the team at Massey Yardley Chrysler Dodge Jeep Ram Fiat in Plantation, FL today. As you take a look at the new Jeep Wrangler and the pricing offered, you will see that nearly everything about this SUV is new while still bringing us the classic look that’s highly recognizable as the Wrangler. This SUV is longer, wider, offers more engines, has a brand new interior, and an easier to fold windshield for the drive you want. There’s even upgraded off-road capabilities to make it more fun on the trails you find when you head out into the wilderness surrounding the Lauderdale Lakes, FL area for the drive and experience you want. Under the hood, you can find a new four-cylinder engine that’s built with the benefits of turbocharging to give you more torque than what you had in the V6 of the past. This engine in the Jeep Wrangler also gives you an improved fuel mileage along with the pricing you want for the drive around Lauderdale Lakes, FL. Check out the modern interior layout and experience what you want when you head out on the roads for a drive. This new interior is more comfortable than ever before to make sure you can have what you want for the drive. 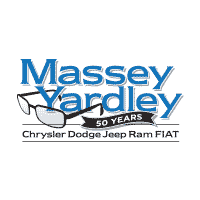 Make your way to Massey Yardley Chrysler Dodge Jeep Ram Fiat in Plantation, FL and take a look at the Jeep Wrangler pricing offered for you to enjoy the drive of this amazing SUV in the Lauderdale Lakes, FL area. This new SUV is one that brings you the qualities and comfort you want when it’s time to head out on the roads and experience the drive that you’ve been searching for when you want to have fun and be able to leave the roads for the trails that are waiting for you to explore in the wilderness.